French luxury house Chanel has acquired British tailored swimwear brand Orlebar Brown for an undisclosed sum. While terms of the deal were not disclosed, Chanel bought out all shares from company founder Adam Brown and private equity firm Piper. Forbes reports that Brown will stay on as creative director of the company, which since its launch in 2007 has grown into a full-fledged lifestyle and resort brand known for their swim trunks, polo shirts and T-shirts. Orlebar Brown operates 24 direct retail stores and has more than 250 wholesale stockists worldwide. Chanel forms part of a shrinking pool of privately-owned luxury fashion companies in an industry that is experiencing rampant consolidation. 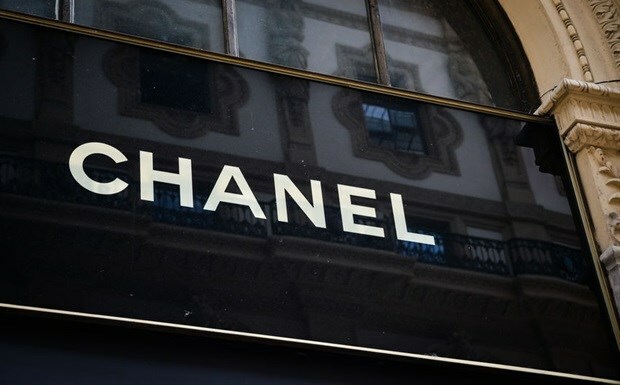 "Chanel’s acquisition of Orlebar Brown is a well-timed strategic move by the luxury house who has been taking several steps this year to affirm its leading position in an industry that is seeing a major increase in consolidation of power," says Euromonitor International research analyst, Lorna Hennelly. "The leading conglomerates, LVMH and Kering continue to report stellar annual and quarterly growth while smaller groups have been playing catch up, including Michael Kors’ recently renamed Capri Holdings Limited who bought Jimmy Choo last year and followed with the widely publicised acquisition of Versace just [last] week." Hennelly states that Chanel has been quietly ramping up their investment in smaller luxury companies, acquiring Spanish leather goods firm Colomer and taking a minority stake in luxury Swiss watchmaker Montres Journe earlier this year. "In a symbolic power-move, the company published their annual results for the first time in 108 years last June, and the figures spoke for themselves – in revenue terms, Chanel remains one of the largest luxury brands in the world today, with significant means to remain independent – quelling persistent speculation that they could become the target of a takeover." According to a Reuters report, Orlebar Brown does 40% of its sales online, making it an intriguing fit with Chanel, one of the only luxury brands that still refuses to sell its clothing or high-end handbags on the web, although it has e-commerce operations for its make-up and eyewear lines. The purchasing of Orlebar Brown is also expected to complement Chanel's Eres offering, the women's swimwear brand the French luxury house has owned since 1996. "...The acquisition of Orlebar Brown will allow the House to capitalise on synergies in a category that has been showing much promise in recent years," says Hennely. "The global swimwear market is currently worth $20.4bn and is expected to grow by a CAGR of 2.2% at constant rates in the next 4 years to reach $22.7bn by 2022 and, though still relatively small, Orlebar Brown is one of the key brands helping to drive category growth, with revenue up by an estimated 75% over the past 2 years alone. Hennely states that the increase in consumer demand for vacation wear is fuelled by a multitude of factors. "As consumers gravitate towards social media for both travel and style inspiration, it presents brands with a significant commercial opportunity. Increased global mobility has had a major impact on the rise in demand for vacation dressing. Consumers are no longer solely shopping for beachwear in summer as they travel abroad more during the winter months and shop from brands and retailers based worldwide. "Luxury consumers, in particular, are spending more on travel as evidenced by the global market for luxury hotels currently worth $52.8bn USD and expected to grow by a CAGR of 3.6% at constant rates, to reach $60.9bn by 2022."